BounceLite began as a Kickstarter project from British inventor Tony Chau, who raised a respectable £34,000 to bring the idea to life. Light shot directly from a flashgun is often harsh, but bouncing a flash off a low ceiling or a wall is a great way to achieve much softer, more flattering light. However, you can’t always count on your shooting location to have a good surface from which to bounce the flash – a problem the BounceLite aims to solve. 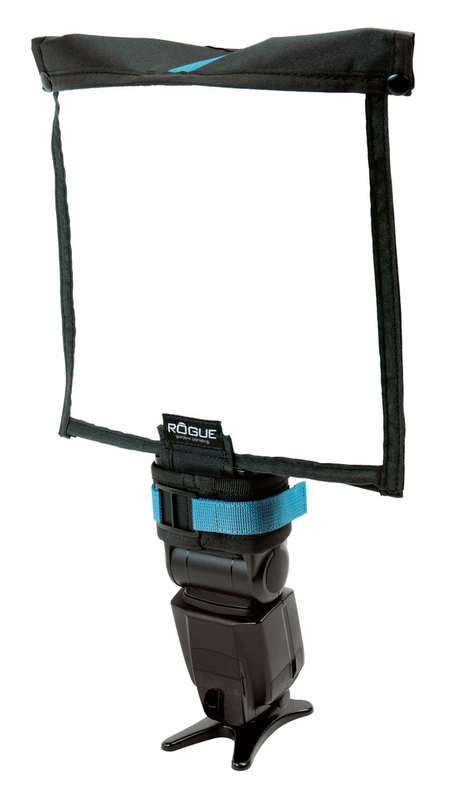 The BounceLite attaches to a standard-sized flashgun via a rubber fastening mechanism. 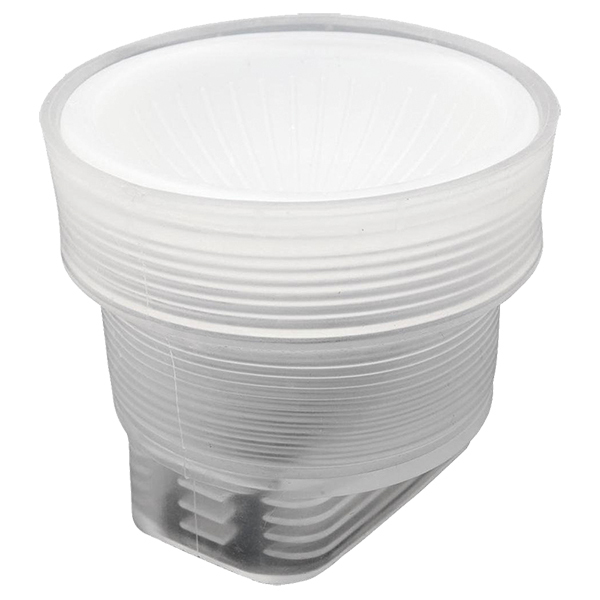 The piece of card at the top of the modifier can be positioned to control the angle and softness of the light, and how much light is directed out through the soft plastic diffuser at the front. In the closed position, all the light bounces off the white interior of the BounceLite and through the front diffuser, effectively turning it into a softbox. Flipping the flash down to face forwards and opening the door allows the diffuser to be bypassed completely. Made from a durable plastic, the BounceLite comes with a case for easy transportation. It also has an in-built filter tray. Using small filter cassettes, coloured gels can be inserted into the modifier to balance and change the colour temperature. An ‘Adventurer’ kit (£139.99) is available and includes a number of multicoloured gels. A filter cassette slides into the filter holder. This cassette also takes coloured gels and allows you to adjust the colour temperature of the flash quickly and easily. two rubber adapters included in the kit. 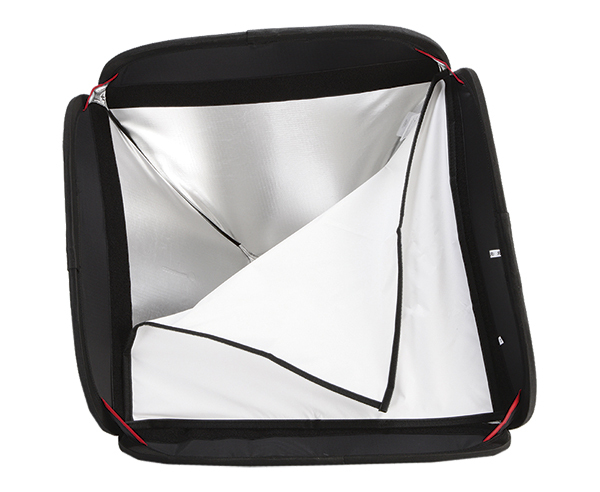 The BounceLite offers the ability to control the spread and softness/hardness of a flashgun, act as a softbox or impede your flash with very little effort. In this way, it’s a very useful tool for working in fast-paced environments like events or weddings. Unlike some modifiers, it doesn’t make your camera top-heavy. And while it’s expensive when compared to other flash modifiers, no other product offers the same feature set. 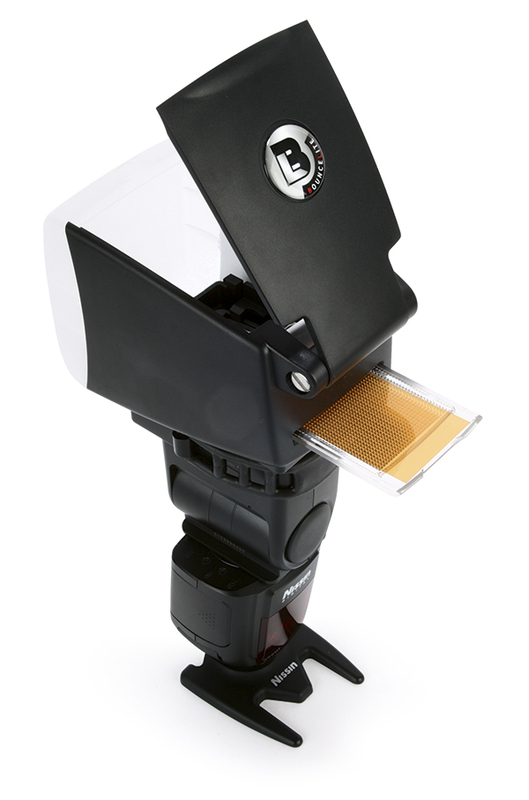 The FlashBender 2 allows users to shoot with a bounce card and diffusion panel. It can also be folded back to shoot with a normal flash. If a purely softening flash is needed, then the SpeedBox Compact is an excellent product. It provides a good spread of diffused light to illuminate a subject with a flashgun.